Ziva Birsaw immigrated to Israel from Ethiopia as a child in 1984. Today she works with Ethiopian youth at risk in the townships outside Haifa, where she said she has witnessed cases of police abusing its authority in interactions with young Israelis of Ethiopian descent. The incident was not isolated and the past several days have seen years of frustration over lack of opportunities and charges of institutionalized discrimination across Israeli life boil into the open, climaxing Sunday night in an intense protest in central Tel Aviv that descended into a violent clash with police. The protests were touched off by a video of a black Israeli soldier being beaten by police, but while the trigger for the protests was the attack, the demonstrators say they were brought into the streets by pervasive racism and discrimination resulting from their ongoing segregation from general Israeli society. In explaining her community’s grievances, Birsaw cited the unsolved death of Yosef Salamsa. Birsaw said police officers “attacked” Salamsa, a young Ethiopian Israeli, in Zichron Yaakov in March 2014. He was never investigated or charged with any crime. Following the incident, Salamsa fell into a deep depression, said Birsaw, and his family registered a complaint with the Police Internal Investigations Department. This, she said, led to harassment by the police that only ended with the discovery of Salamsa’s corpse one day in early July 2014 after he failed to come home from work.To this day, his family has no definitive answer as to how he died. “No one investigates cases like this. They get swept under the rug,” said Birsaw. After years of such arbitrary negative treatment, Ethiopian youth fear police and feel antipathy toward them, she said. But a video of a recent seemingly unprovoked assault on Ethiopian-born IDF soldier Damas Pakada by an Israeli police officer and a police volunteer has inflamed their antipathy and launched violent protests throughout Israel. In speaking in the Knesset after a meeting with Pakada and Ethiopian community leaders, Prime Minister Binyamin Netanyahu acknowledged the significance of the protests in indicating a deep rift within Israeli society. “It is our duty to fight racism and discrimination in any way possible,” said Netanyahu, who also pledged to eradicate police violence. “The ministerial committee that I will chair will advance plans to resolve problems in education, housing, culture, religion, employment and in other areas,” he said. According to Birsaw, segregation is well entrenched: Ethiopian Israelis live in virtually all-Ethiopian neighborhoods and send their children to virtually all-Ethiopian kindergartens and schools. “And then when kids get older, they are sent to pre-army courses that are also for Ethiopians only,” Birsaw said. While this is the standard practice here in Israel, she suggested that an all African-American course, by comparison, would be met with outrage in the US Army. “There has been a process going on for years of marking the Ethiopian immigrants as a target for special treatment,” said Chen Bram, an expert on multicultural policy and diversity management at the Harry S. Truman Research Institute for the Advancement of Peace at the Hebrew University. Despite the fact that some of the programs and initiatives aimed specifically at the Ethiopian community have had some successes, Bram believes that a huge price has been paid because of the approach that has been taken in the last decades. 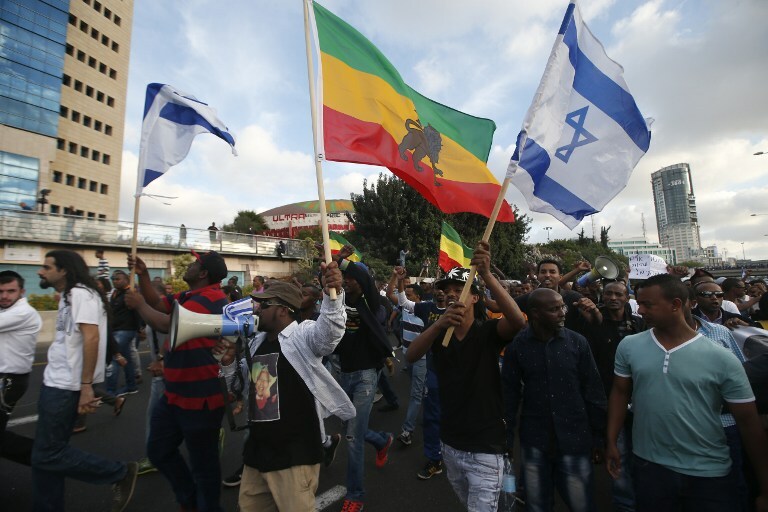 “It has been a huge frustration for Ethiopian Israelis because they have been triple-marked. They are viewed as people of color, residents of poor neighborhoods, and they have been tagged by policies and research as a category deserving special treatment,” Bram said. According to Bram, this was often done out of the best of intentions. However, all the various special organizations, programs and structures established by the government and NGOs to help the 130,000-member Ethiopian immigrant community just ended up marking Ethiopian Israelis as weak outsiders deserving of different treatment. And this culturally enforced message is now decades old. “Of course, today’s police officers learned this social message as they were children growing up,” Bram said. 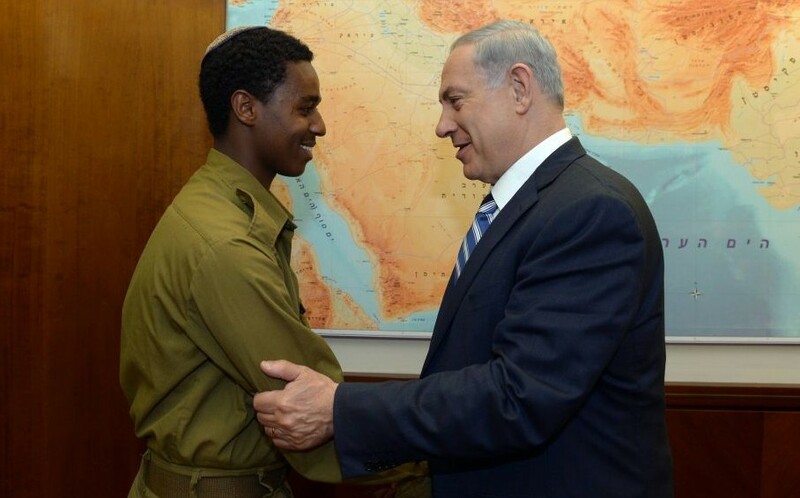 Some stark statistics: Although 89% of teenage boys (higher than the national average of 75%) and 62% of teenage girls of Ethiopian heritage serve in the IDF, one third of them end up in IDF prisons. Soldiers of Ethiopian descent currently make up only 3% of the IDF, but a disproportionate 13% of the military prison population. Dishonorable discharge rates for Ethiopian Israeli soldiers, at 22.8 percent for men and 10.6% for women, are also well above the national averages of 16.5% and 7.5% respectively. “Most of those sentenced are accused of desertion or being absent without leave…Sometimes they cannot return to base on time, or have family emergencies to which they must attend. Because soldiers are paid only $100 a month, many seek to work during their years of mandatory service. These family and financial constraints weigh on them, and the army justice system is quick to dispatch them to the brig for what amount to offenses related to their socioeconomic background,” stated a February 2014 opinion piece in the Forward. And both Birsaw and Ravit Talmi Cohen, an applied anthropologist at the Peres Academic Center at Tel Aviv University who has studied the Ethiopian community, cited another disturbing figure: 40% of population of the Ofek Juvenile Prison are youth of Ethiopian heritage. However, Cohen, who founded the Jewish Agency’s Matzofim project for Ethiopian immigrants, is hopeful that the younger generation within the Ethiopian community will bring about change. Echoing Cohen is Mali Alon, a young mother from Jerusalem who came to Israel from Ethiopia as a girl and wants things to be better for her children as they grow up here. “We don’t want to be separate. We are Jews, and we are Israelis,” she said.